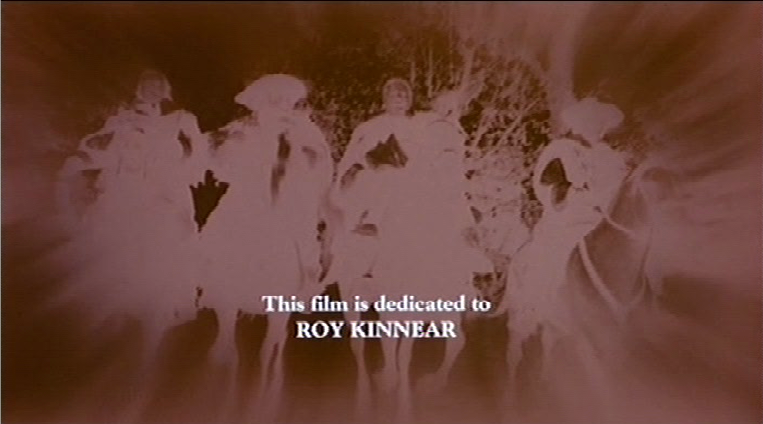 Richard Lester is some kind of favourite director of mine, and his THREE MUSKETEERS and FOUR MUSKETEERS have a special place in my affections. So his last dramatic feature, RETURN OF THE MUSKETEERS, is something of a problem. Haunted by tragedy, hampered by budget shortages, flawed by script problems, it can never be “a worthy successor” and most reviewers have been content to dismiss it. I love a lot of the picture, but can’t in earnest embrace it as a whole. Lester’s final film, GET BACK, a Paul McCartney concert flick, truly does deserve rapid dismissal — to linger on its faults would seem merely cruel. McCartney was not the performer he had been, the footage is inadequate (especially the oft-repeated shot of an attractive audience member — was she the only ticket buyer under forty?) and the whole thing feels redundant and nostalgic — there’s some kind of tentative desire to do more, but the tools aren’t there for a thoughtful reappraisal of the sixties. RETURN has much more going for it than GET BACK, although the nostalgic impulse is there also. The movie reunited all the characters who survived the first films and the intervening years, to deliver a fairly faithful adaptation of Dumas’ Twenty Years After — fortunately, Lester only waited fifteen years, so his cast were still comparatively spry, or are made to appear so. Unfortunately, their star profiles had dimmed considerably in the time since 1974, so that the presence of Michael York, Richard Chamberlain, Oliver Reed, Geraldine Chaplin and Christopher Lee (who apparently died, quite conclusively, in the previous movie, but is a specialist in resurrection) signalled “B movie” in 1989. Frank Finlay and Roy Kinnear were always character players rather than stars. So a lot depended on the new blood, and C. Thomas Howell and Kim Cattrall didn’t enhance the film’s standing — he had fallen from his brat pack heights, while she was in between the two successful periods of her career. It’s easy to ignore all that now, but harder to deal with the effects of Roy Kinnear’s tragic death during the shoot, when his horse slipped, he fractured his pelvis and succumbed to heart failure. I remember the news reports and it’s easy to spot the scene in the film where the accident occurred, although no footage of the fall was used or exists. It’s also easy to spot the stand-in who replaced Kinnear in long shots, and the overdubs replacing lines Kinnear wasn’t around to re-voice himself. It seems abandoning the film wasn’t a legal option, or maybe it was emotionally easier for Lester to simply charge forward with production. It clearly cast a pall over the film, a non-diegetic aura of sadness and confusion that in no way helps the film’s ambition to be a rollicking romp. Had the movie been more ambitious, like its predecessors, it might have coped better, but the focus is very much on the lighter aspects of the story. While FOUR MUSKETEERS ended with heroes and heroines tragically slain, this one has the arch-villain escape at the end, borrowing a note from ROYAL FLASH (also written by George MacDonald Fraser) which hadn’t worked too well the first time. So why talk about the film at all? Only because the good bits are often very good — it was great seeing Oliver Reed back on the screen in something at least vaguely worthy of his talents, throwing himself into the fight scenes with sweaty intensity and authentically murderous/suicidal gusto. 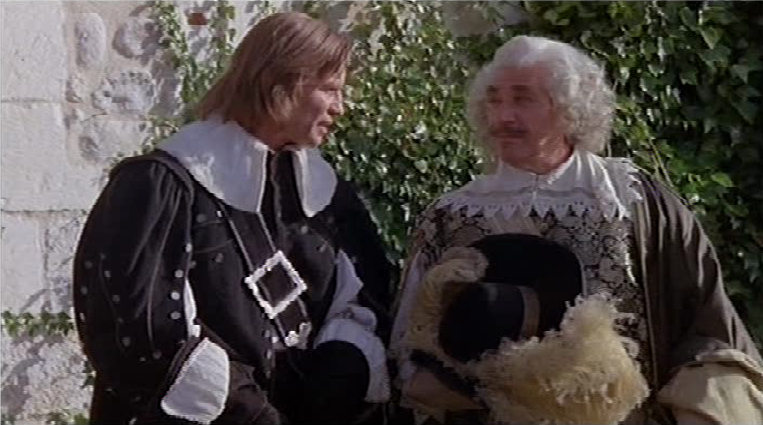 Frank Finlay’s ebullient delivery and silly comedy voice are as welcome as ever, and Kinnear is wonderful when he’s around — his role as Planchet, D’Artagnan’s long-suffering servant has been built up, in keeping with the film’s more consistently frivolous tone. 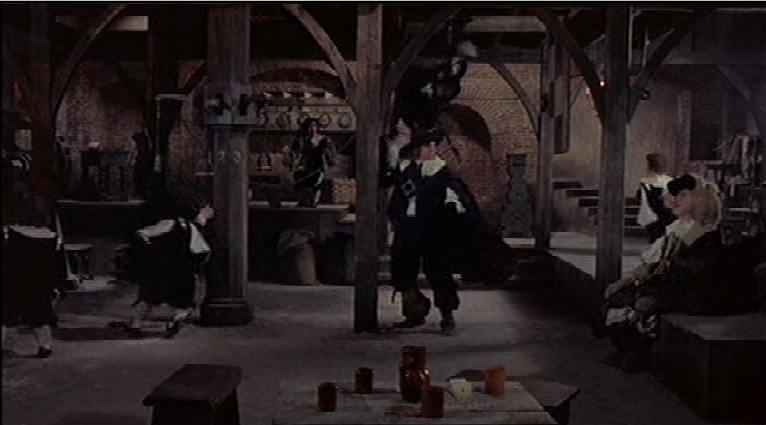 An opening tavern brawl is an excellent showcase for Lester’s slapstick skills, as Kinnear poaches food from the rafters using a fork on a stick, eventually provoking a series of misunderstandings down below which escalate into a comic riot. The fights are as inventive as ever, mixing balletic grace with authentic moments of clumsiness and bad luck (all of which can feel unfortunate given the film’s troubled history) and the overall idea of the first films is continued — the political backstory and the scheming royals and clerics are eyed sceptically, the romance is ironically undercut, the swashbuckling is blended with slapstick to make what must be called either swashstick or slapbuckle, but somehow all of this is kept under control so that there’s still room for excitement and character empathy. It’s a very tough balancing act. What keeps the films in line is their critique of history — like Keaton’s THE GENERAL, everything is “so real it hurts”, and the best jokes come from an evocation of poverty, violence, squalor, venality or stupidity, founded in bitter fact. This is something THE PIRATES OF THE CARIBBEAN films don’t get. Michael Powell said that Lester’s first two MUSKETEERS films showed him the tone he’d failed to get with THE ELUSIVE PIMPERNELL, but the difference is that that film takes its romance and heroics seriously but its world is mere scenery. 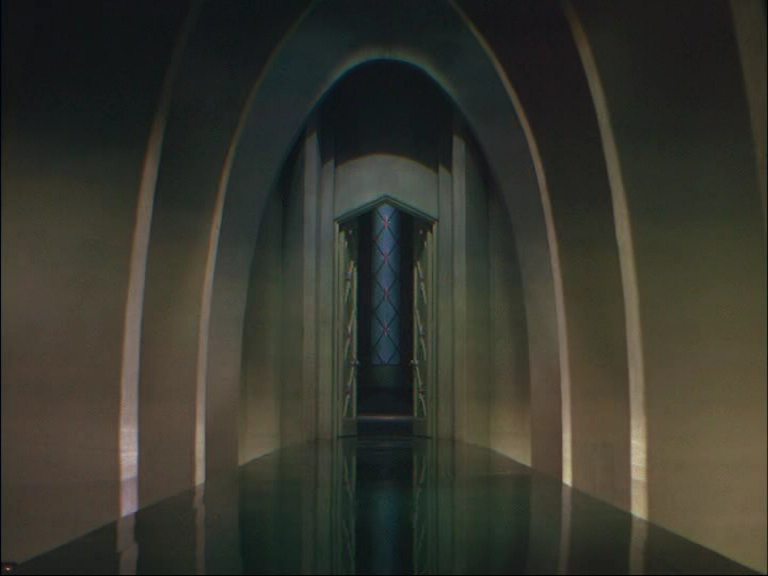 In Lester’s films the settings are three-dimensional and the characters two-dimensional, quite intentionally. Kinnear, fleeing pursuers, jumps on planks projecting from the back of a cart, but when the cart trundles off, the planks stay put, being part of an entirely different structure — a compositional joke straight from Keaton. Howell and Cattrall embrace passionately — Lester cuts to a ball being thrown through a hoop, with a little grunt of exertion, a bathetic parody of the sexual act. Insane but convincing period detail — Finlay does some target practice by firing his musket at wooden doves on sticks held aloft by hapless servants crouched in a pond, as he rotates on a tiny carousel hand-pushed by more liveried schmoes. Cattrall traps the musketeers in a diabolical booby-trapped house, all trap doors, sliding panels and snapping manacles in chair arms — the workings are eventually exposed, a control room manned by dwarfs, all black-clad like stagehands or highwaymen. Scot-mockery! 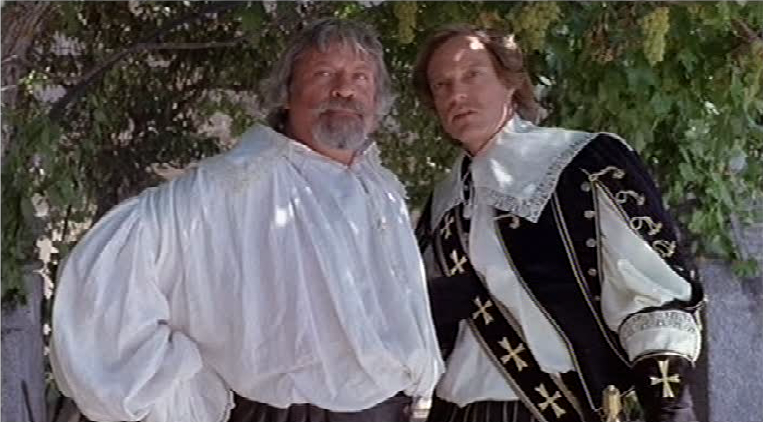 King Charles II of Britain appears, playing golf, and he’s Bill Paterson, with Billy Connolly as his caddie. Brit-mockery! 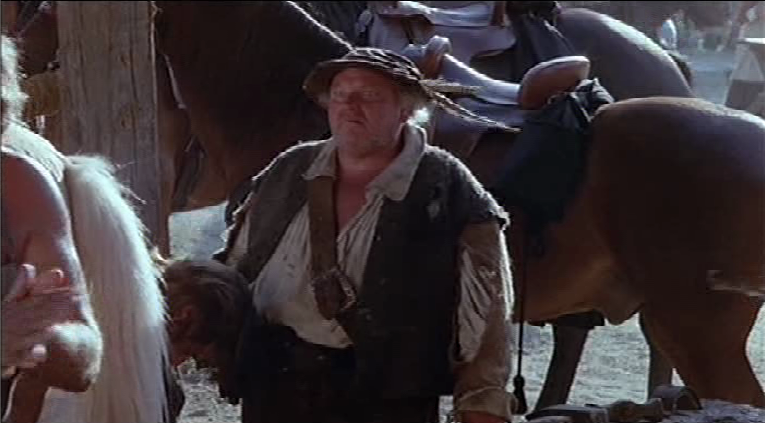 When D’Artagnan insists that the British public will never stand for the execution of their king, Oliver Reed tells him, “The British public will put up with anything except an increase in the price of ale or the mistreatment of pack animals.” Screenwriter George MacDonald Fraser was, after all, a journalist.